If you are a Ford Mustang fan, you must be in Detroit, Michigan this weekend. As the Ford Mustang gets closer to the 50th consecutive year of production, the celebrations are beginning in a big way now at Mustang Alley. The annual Woodward Dream Cruise event in Detroit is the world’s largest one-day classic car event and will feature more than 800 classic Ford Mustangs from the first 49 years. And Ford is also bringing the full lineup of 2014 Ford Mustangs including the 662-horsepower Ford Shelby GT500, the Mustang GT and V6 coupe with Performance Package. Current and past Mustang pony cars will be featured in a big way as Ford gears up for the launch of the 2015 Ford Mustang next year. Festivities will begin on Friday, August 16 at 4 p.m. as Ford marketing manager Jacques Brent will deliver a keynote speech and will cut the ribbon for Mustang Alley. The ribbon-cutting event will be held at the intersection of 9 Mile Road and Woodward Avenue in Ferndale, just north of the Detroit city limits. Mustang fans will want to be there Saturday, Aug. 17 where the event will take place “rain or shine.” More than 800 classic pony cars and modern Mustang models from 1964 through the present day will be present for fans to enjoy. 49 years of the Ford Mustang will be highlighted and celebrated at this high-octane destination. 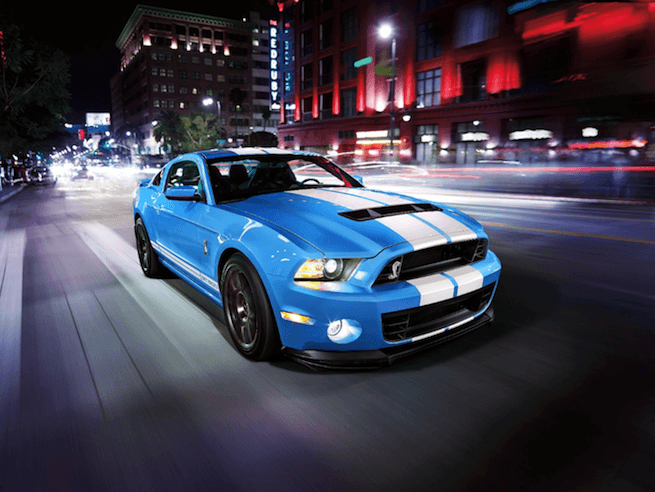 Ford is also bringing the 2014 Ford Shelby GT500 and full lineup of SVT vehicles this year. Ford will also show off the new 2014 F-150 Tremor sport truck in Mustang Alley during the event. Tremor is the first sport truck powered by the 3.5-liter EcoBoost V6 engine. The SVT display will feature the latest Shelby GT500, along with the performance Ford Focus ST and 2014 Fiesta ST.
Mustang Alley is the place to be for Ford fans who are into building their own custom Ford street rods and race cars. Ford Racing will be on hand with a large display of street and strip crate engines, and engineers and Ford Racing technicians will answer technical questions about performance, installation, and tuning. Shelby American, Dembeste (Shelby engine company) and Roush will also be there with displays on Mustang Alley. Detroit, Michigan is the place to be this weekend as Ford begins the countdown for the global launch of the 2015 Ford Mustang. The clock is ticking towards the 50th birthday of the Ford Mustang on April 17, 2014. If you are a Ford Mustang fan, Mustang Alley is the happening place to be.